Finding a great deal on a Robart Pinchless Victory Sweet Iron Snaffle Bit can be difficult. But do not worry as we have a vast selection of Pinchless Snaffle Bits that are not just made of superb quality but also affordable. This Robart Pinchless Victory Sweet Iron Snaffle Bit is An engraved Silver inlay bit good for horses with non-sensitive mouths. 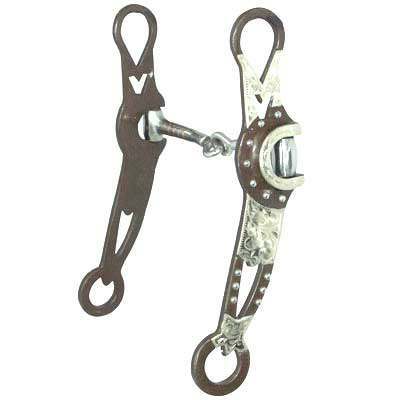 This Robart Victory Bit also serves as a great tool for young horses with the pinchless snaffle. Which uses Robart pressure with pain elimination. Instead of using pain training. We know how hard it can be to find a great deal on Robart Pinchless Victory Sweet Iron Snaffle Bits. This is why we offer all our Robart Victory Bits at discount prices to help our customers save and want to come back for future purchases.